In "Human Destiny," Le Comte Du Nouy wrote, "Any effort to visualize God reveals a surprising childishness. We can no more conceive Him than we can conceive an electron. Yet many people do not believe in God simply because they cannot visualize him." In fact, many Christians feel that images dishonor God because he is invisible. "No images drawn from visible things will enrich our worship of him," said Gordon R. Lewis. Be it God, Yahweh, Adonai, Allah, Lord, Elohim or Baal, every faith has its rules and designations and many won't even utter His name. Most Christians prefer, instead, to focus their paint brushes and chisels on Jesus since the story goes that he became incarnate and walked among us. John of Damascus wrote, "The Son is the image alive, natural and perfectly similar of the invisible God; he carries in himself the Father, and is identical with him in everything, except for this single fact, that he derives from him as from his [primary] cause." This thinking becomes particularly interesting and gets mightily challenged when sacred images are considered from the Not Possible IRL (in virtual worlds) perspective. 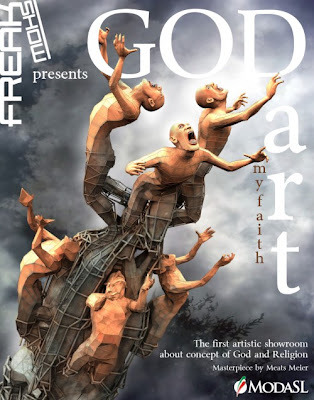 When LogLady Loon - founder of Freak Show - named her newest collective "GodArt: My faith, between sacred and profane," I'm sure she knew what she was doing. The woman is inciting us again to explore, with art, our deepest beliefs, and this after her Pornosophy and Freaks vs Beauty Paranoia shows. She asks, "Tell me what you believe." Given my ongoing interest in 3D art, which I view as the ultimate expression of what is possible in virtual worlds, and my disinterest in waiting what seems like an eternity for 2D images to render in-world, I'd abstained in the past from getting involved with Freak Show which is overwhelming about photography, but I find the GodArt theme irresistible. 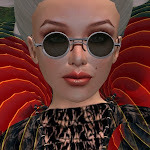 I'd like to encourage land owners to help sponsor the show and provide as many prims as possible, thereby enabling more artists to present their works three-dimensionally. For these reasons, Not Possible IRL has become a sponsor of the GodArt show, joining ItaliaSL, ModaSL, Avatrait, BadGirls magazine and Poetik for the first time, as a supporter of Freak Show. The deadline to enter is Monday, August 31st, and only one work is allowed per participant. For more information, please refer here. I want to thank Bettina for this amazing article and for her understanding about the meaning of this show. 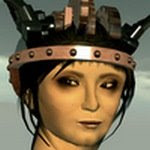 I think this theme could be interesting for comparing our beliefs and feelings about an argument so "high", through SL medium and virtual art.